We'd recently learned that Warpaint bassist Jenny Lee Lindberg was going rogue for a bit to deliver an album as Jennylee. Now, following an album trailer, the Los Angeles artist has unveiled the first proper taste of Right On! via a video for its "Never." The clip bounces back and forth between shots of Lindberg singing the song in the studio with her band, and a few silhouette-heavy scenes of choreography. Sonically, "Never" reaches out with a decidedly '80s sounding piece of post-punk, which maintains a low-key moodiness with its watery bass and cloud-cover vocals about all the things "that make me feel bad." 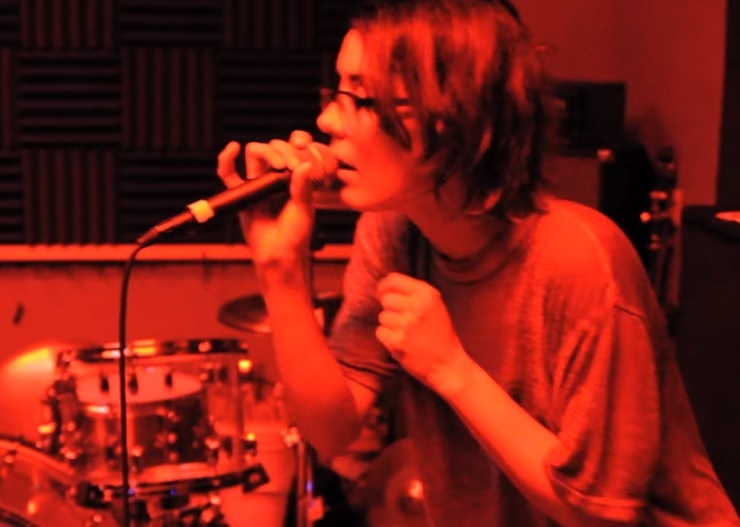 You can take it all in below, while Jennylee's Right On! will be revealed in full on December 11 through Rough Trade.